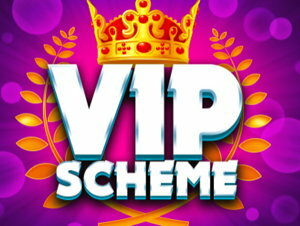 Offer Terms: New players only, min deposit £10, £8 max win per 10 spins, max bonus conversion £250, 65x wagering requirement and full T&C's apply. Launched in 2012, Zingo Bingo is one of the newest and most popular sites around right now. It is operated on one of the smaller networks, however if you’re looking for a bingo site with not only fantastic games and bonuses, but also added vibrance and fun, then Zingo Bingo is well worth a look. The team behind the iconic brand promise not only to deliver excellence in bingo, but to deliver bingo with a “zing”. The homepage alone transports you immediately into a world of sparkle and shine, and with such fantastic promotions up for grabs too, it’s a really fun, colourful and enjoyable place to hang out. The site also offers a nice sense of community. There are experienced chat moderators on hand throughout the rooms and if you fancy something a little bit different, you can visit to blog section of the site. This will take you to exterior pages where you can read up on everything bingo and get great advice and tips from tons of bingo bloggers. Though bingo room numbers are limited, Zingo Bingo do still offer a variety of classic 90 and 75 ball games along with a nice selection of slots and scratchcards and bonuses are aplenty for all. Zingo Bingo offer a fantastic welcome bonus to all new players, arguably one of the highest around. This generous welcome offer is not to be missed and details can be found via the link at the top of the page. Terms and eligibility criteria apply, and all players must be aged 18 or over. And promotions don’t stop there. Zingo Bingo also offer a variety of pretty regular bonuses for all players including Monday Madness, Friday Night Takeaway and also the Weekend Wad. Break the routine every Monday where between 4pm and 7pm GMT, line and full house prizes are switched in Monday Madness. Grab a full house on a Friday at 8pm, and you’ll win a £50 takeaway for the following week with Friday Night Takeaway. Then to finish the weekend off nicely, join up to the Weekend Wad and be in with a chance to win £300 worth of bonus funds if you win a full house on the lucky golden number. Zingo Bingo is operated by Jumpman Gaming Limited (Alderney). The games on offer tend to stick to the 75,90-ball Bingo style, which means choice can be quite limited but can be great for beginners or players who enjoy the classics. They do like to offer loyalty points to regular players though, and you can gain these for referring friends as well as winning on certain games. There’s also quite a few chat rooms to get involved in offering games too if that’s something that takes your fancy. A good time to enjoy bingo games at Zingo Bingo is during guaranteed jackpot games. Throughout these special games, the prize pot can become as big as £2,000, meaning an epic win for whoever manages to land the full house. You can check out when the next jackpot game is on the Zingo Bingo site, or simply head over each Friday at 8pm GMT for your chance to get involved with the weekly guaranteed jackpot game, where someone will always walk away with £150. Most online or mobile bingo sites these days know that when it comes to games, it’s so important to offer a wider variety other than just bingo. Zingo Bingo actually comes up pretty well on this. With a choice of over 50 slots, a small collection of casino games including Roulette and Blackjack, plus incredible instants like Keno and Hi-Lo, there’s a fairly great selection here to keep players enticed. The collection of slot games all come courtesy of the development team over at Eyecon Games. Though the selection isn’t huge, it does include popular favourites such as Ancient Egyptian, Fluffy Favourites and more! Do you have the luck of the Irish? Get your chance to pick up the gold at the end of the rainbow with Luck of the Irish! Alternatively, have a go at the Native American themed Shaman’s dream! With bets as low as 1p, and jackpots as high as £10,000, have a spin and seal your destiny. When it comes to payment, Zingo Bingo likes to keeps things simple! You can deposit and withdraw using Visa, Maestro, Mastercard, Switch and Solo cards, and minimum withdrawal on all is £30. Please note, only British currency is accepted on this site. Do take time to read all the wagering requirements on the company website on registration, as they can differ depending on the certain games/bonuses that you play and receive. In order to make your first withdrawal, at least £100 must have been wagered in real funds and identification will also be required first time around. There is no direct telephone number currently available. Zingo Bingo may not hold the most modern design features, or bamboozle its players with hundreds of games to choose from, but what it does possess by the bucket load is character. 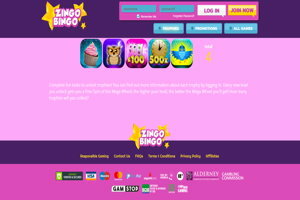 With a welcoming theme, great games and friendly chat hosts, Zingo Bingo is a bright, warm and hospitable bingo site, with a great sense of community and fun. If you’re after a more classic style of bingo with great bonuses and promotions, then Zingo Bingo is definitely worth a try! A good one for beginners and any traditional bingo lovers out there.